"The Seven Preludes were composed for virtuosos who love the game of dexterity which is always associated with expression." 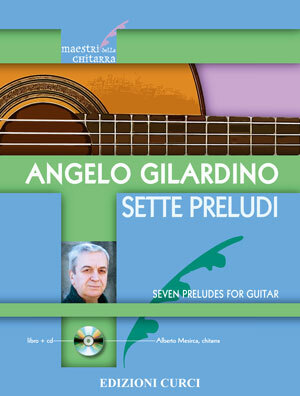 With these words Angelo Gilardino introduces this collection of solo pieces in which extremely refined writing is often associated with distant suggestions, evoked through a rich tonal palette. A CD is included with interpretation of the pieces by Alberto Mesirca.